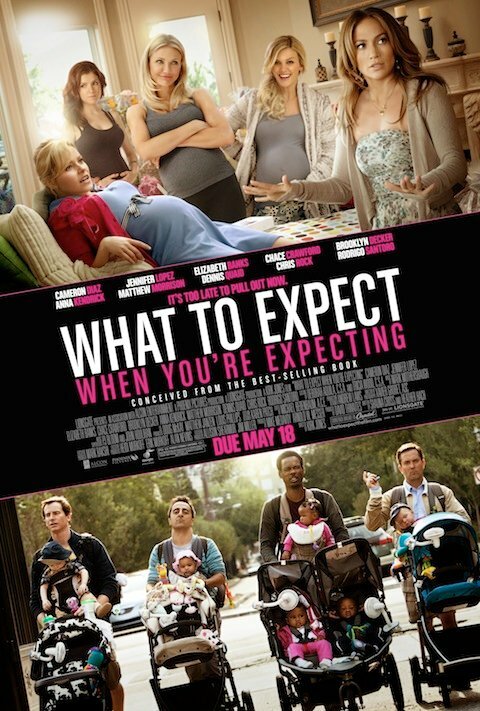 Arriving in theaters next month, What to Expect When You’re Expecting is inspired by the pregnancy guide by the same title, and features an ensemble cast full of notable names and recognizable faces. The poster makes good use of those names and faces, managing to squeeze most of the leads (and a few babies) comfortably into the frame. By splitting the moms from the dads, the poster manages to squeeze nine actors and a lot of babies into the image without it seeming nearly as cluttered as it might have with some other arrangement. While Dennis Quaid, Chace Crawford and Rodrigo Santoro aren't shown on the poster, their names are mentioned. Meanwhile Rob Huebel, Amir Talai and Thomas Lennon are shown but not listed above the amusing “It’s Too Late To Pull Out Now” tagline above the title. The film offers a solid cast full of actors who have proven to be funny in the past. But will the many intertwining stories prove to clutter the movie? Hopefully not, though the trailer does seem to hint that there’s a lot going on within the story. We’ll have to wait and see how it all comes together when What to Expect arrives in theaters May 18. More information, photos and the trailer can be viewed in our Blend Film Database.